It's the time of the year when many families are together to enjoy the blessings of the season. One free — but valuable — gift you might give to yourself and your family members is to complete a family health portrait. A family health portrait is helpful to you and your health care provider — regardless if you are strangers or old friends. The reason is many common diseases, such as heart disease, cancer, and diabetes, plus some rare diseases, such as hemophilia, cystic fibrosis, and sickle cell anemia, tend to run in families. 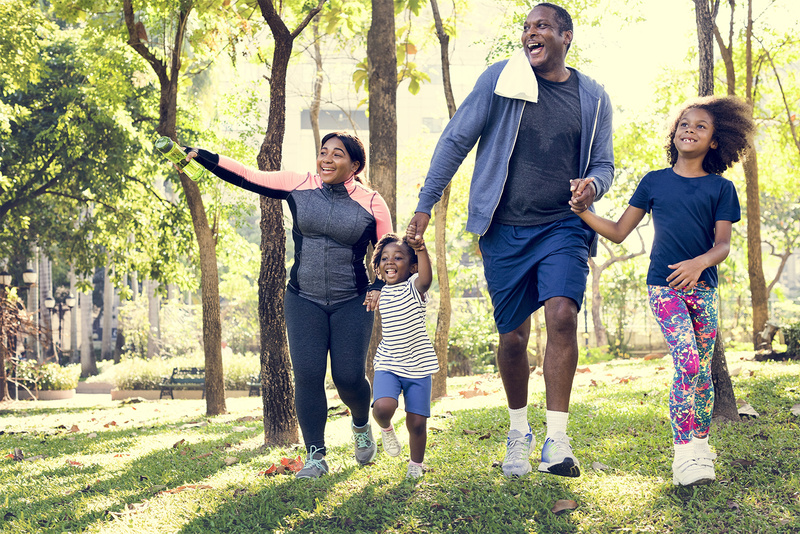 Since early detection and treatment improve your chance of recovery and quality of life, a family health portrait helps you alert a physician or other health care provider of a potential problem. It's an early alert system that you can provide to help your physician assist you — as well as other family members. About 96 percent of Americans believe that knowing their family health history is important, according to a survey conducted by the U.S. Surgeon General's office. However, only about one-third of Americans take the time to create a health history of their siblings, parents, grandparents, great grandparents, etc. The U.S. Surgeon General wants to ease the process to create a family history and provides a website, called 'My Family Health Portrait' that you can use to enter family health information. To find the Surgeon General's family health portrait website, just type 'my family health portrait' in any Internet search engine. Then, click on 'my family health portrait home page,' or type the URL 'familyhistory.hhs.gov' in your favorite browser. Once at the site, you will find a series of pages that are straightforward to complete. Instructions are available in English, Spanish, Portuguese, and Italian. The site's first page asks you to fill in your name, age, gender, height, and weight. You can import some of this information from at least one electronic health records portal. A pull-down menu lists major diseases including: heart disease, stroke, diabetes, and cancers. You are asked to select any that are part of your health history. Then, from a second pull-down menu you estimate the age when the disease or condition was diagnosed. There are a couple of questions (with an explanation of need) regarding race and ethnicity. You are then, asked the number of brothers, sisters, sons, daughters, uncles, aunts etc. in your family. You can add health history information for individual family members. The aggregate information can be saved on a computer, is easy to update in the future, and the information automatically can generate a family diagram and chart. Incidentally, you control the information and its release. While you may already know some family health information, it is helpful to obtain it from parents, grandparents, siblings, and relatives. This is why a family gathering, such as during this year's holiday season, is a good time to inquire. If your family understands your motive is to boost everyone's health — and make it easier for a physician or nurse to help — it makes the process more caring than intrusive. Once finished, you can print the results and take it to a health care provider, or send electronically. You can easily make copies to share with other family members, at your discretion. By the way, I know an English-speaking family in Southern California that uses a clinic where much of the staff is more comfortable in Spanish. So, a few years ago the family filled out a family health portrait in English and then, in Spanish and took the latter to the clinic to be placed in their records. The clinic's nurses and physicians warmly praised the family's initiative. The effort later paid a welcome dividend during the holidays when a visiting family member needed an ambulance and urgent care. The clinic's emergency Spanish-speaking medical technicians already had some helpful family health history information when they showed up to assist. Besides the Surgeon General's site, MedlinePlus.gov also has a family history health topic page that provides more background information on why a family health history is advisable — and adds other, helpful resources. In addition to the link I provided earlier, another gateway to the Surgeon General's family health portrait is in the 'start here' section of MedlinePlus.gov's family history health topic page. Our congratulations if you are among the one-third of American families that have prepared a family health history. We urge others to join; it is an inexpensive, thoughtful, and practical way to wish your family better health care in the future.